What a week. Seems like it flew past. 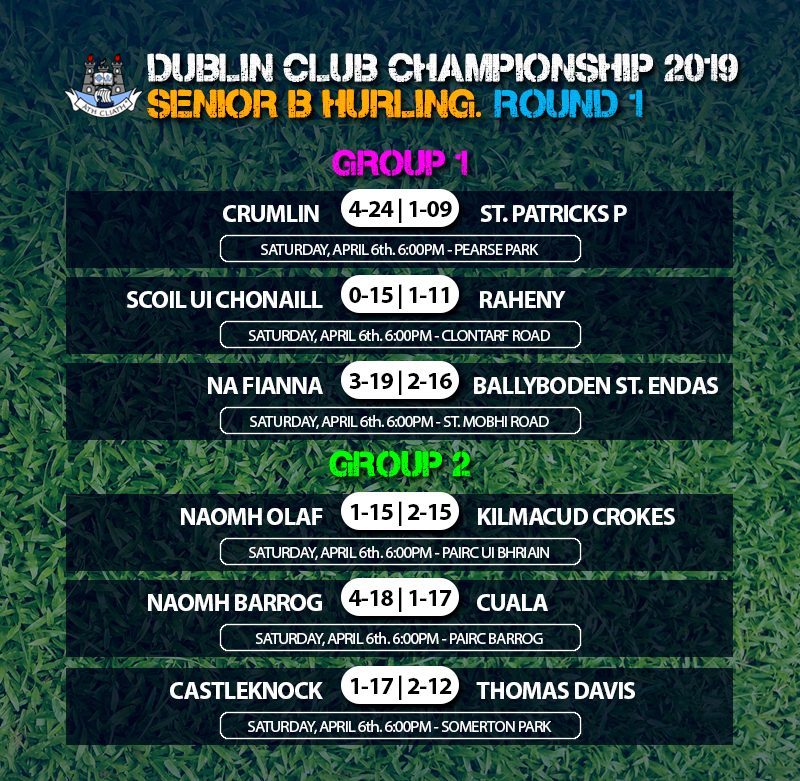 But since Wednesday, the action from the opening round of this year’s Dublin Senior Hurling Championship has been coming think and fast. 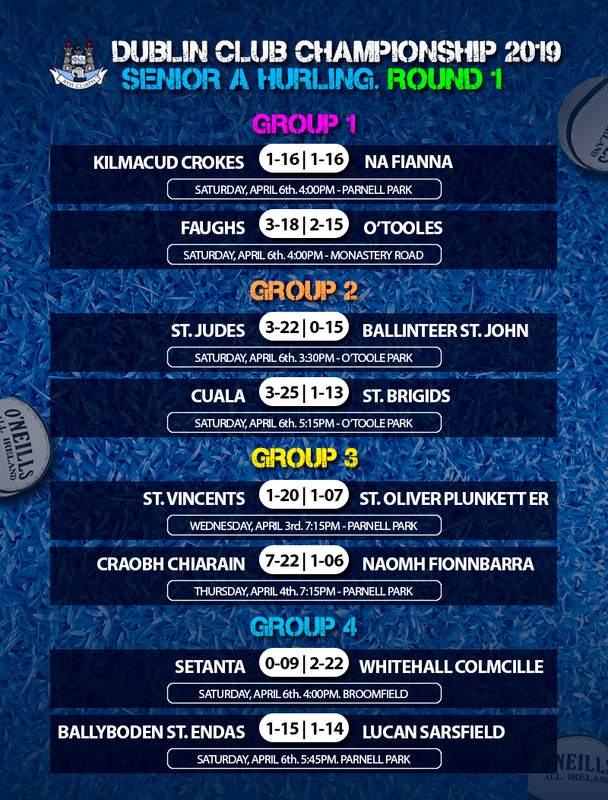 And with the first rounds in both the Senior A and Senior B all played it’s time to look at the results from both. An unreal game this afternoon in Parnell Park to kick off Group 1. With Na Fianna in pole position for the majority of the game, Kilmacud Crokes pulled it out of the bag to tie the fixture and share the points on a 1-16 to 1-16 scoreline. The Mobhi Road boys looked to have it in the bag, but a late injury time goal from Ronan Hayes levelled the sides. Elsewhere in Group 1 Faughs got the upper hand in their opener against O’Tooles at Monastery Road to start their campaign at the top of the group. Judes proved too strong this afternoon for Ballinteer in the opener in O’Toole Park this afternoon. A 0-16 margin at full time was Judes statement of intent for this year competition. In the second game of the double header in Crumlin former champions Cuala rose to the occasion, seeing off St. Brigids on another big scoreline. Eighteen points seperated the sides at the final whistle with the Dalkey men taking the points. Earlier this week Group 3 got underway over two nights in Parnell Park. St. Vincents were the first senior side to take the spoils, beating St. Oliver Plunkett Eoghan Ruadh by 1-20 to 1-07. 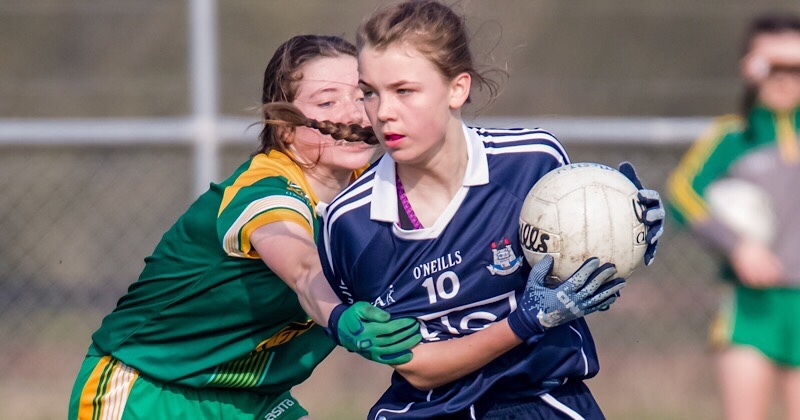 But it was Thursday’s result that caught everyone’s attention when Craobh Chiarain took the game to Naomh Fionnbarra in Donnycarney HQ, winning by 7-22 to 1-06. Whitehall Colmcille got off the a great start in Group 4 this afternoon in Broomfield. 2-22 to 0-09 over Setanta was a comfortable finish to their opening game. In Parnell Park Ballyboden St. Endas handed Lucan Sarsfield a defeat by the narrowest of margins. Eleven goals scored over the three Group 2 games this evening. Kilmacud Crokes won by a goal in their opener against Naomh Olaf by 2-15 to 1-15. Four green flags for Naomh Barrog as they were victorious Cuala at Pairc Barrog. And Castleknock got up and running in Somerton with a two point win over Thomas Davis.